Prokr2 exon 2 contains the translation initiation codon. 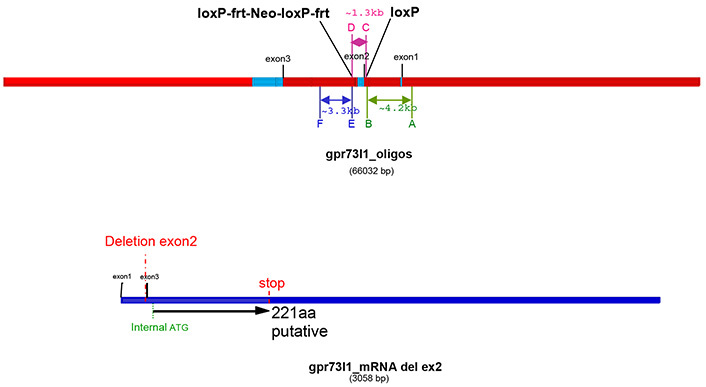 Exon 2 have been flanked by loxP sites. Deletion of exon 2 should result in loss of function of the Prokr2 gene.